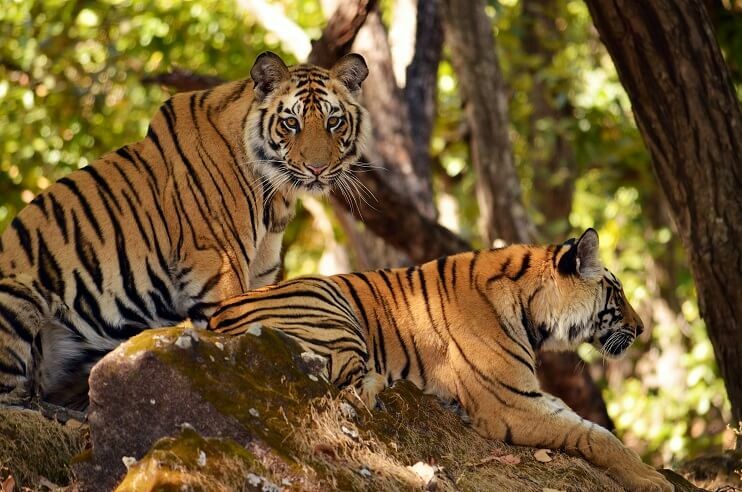 A delight for every traveller who seeks to have an indelible stay amidst a sublime setting on a vacation to Panna National Park is Camp Panna. Beautifully built on the banks of River Ken, Camp Panna is counted amongst the most unique resorts in Panna National Park to enjoy relaxing vacation time. 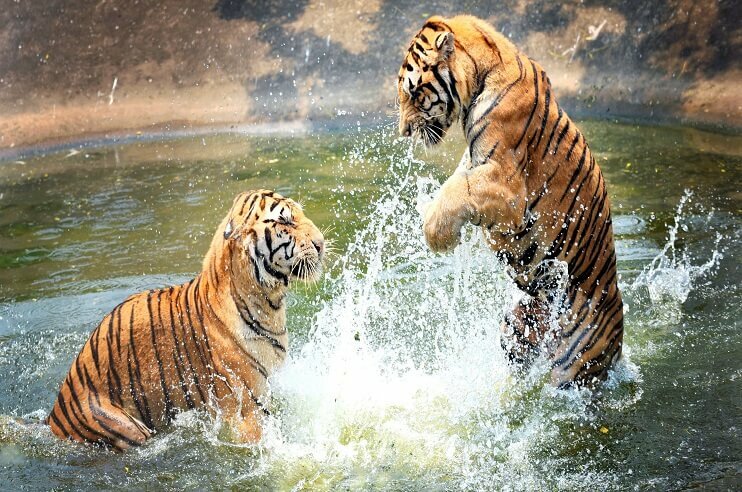 Engirdled by the exotic nature and verdant greenery, this popular resort in Panna National Park boasts a strategical location that only allows travellers to explore the wildlife but also to visit the famous Khajuraho monuments. 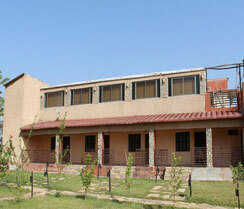 From the Mandla Gate, Camp River is located at a distance of around 6 km. 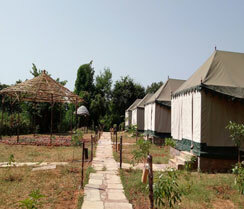 Camp Panna is a perfect hideout for travellers looking out for some nature’s treat along with the serene setting. Adding a different charm is the Ken River which makes a perfect surrounding for tourists to enjoy an unforgettable stay in Panna National Park. 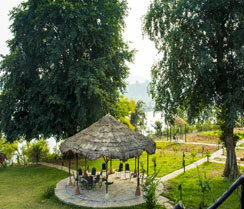 In the accommodation department, the resort proffers a stay which helps you to connect strongly with nature. With a warm setting and elegant furnishing, all the rooms at Camp Panna are overbrimming with such amazing facilities and services that are essential to give customers a sense of home-away-home. The rooms at Camp Panna are adorned with elegant furniture and incredible services. 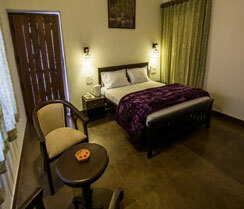 All the rooms here are well-equipped and include attached bathrooms with hot and cold running water facility. Moreover, all the rooms also adorned with a separate balcony; from where one can enjoy the exotic views of surrounding which include the mighty mountain peaks and the exquisite nature. Ensuring the proper comfort of the travellers, the units at Camp Panna are also equipped with air-conditioner and a desk. 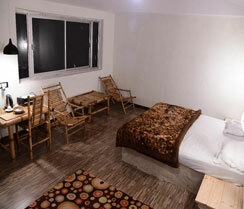 Providing more comfort to the tourists, the resort also offers the facility of room service to your home at any time. Like the accommodation department, the dining section is also pretty perfect at Camp Panna. 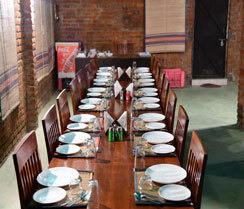 The resort offers both vegetarian and non-vegetarian dishes to the guests. At Camp Panna, these delicacies are available in both North Indian and Continental options. 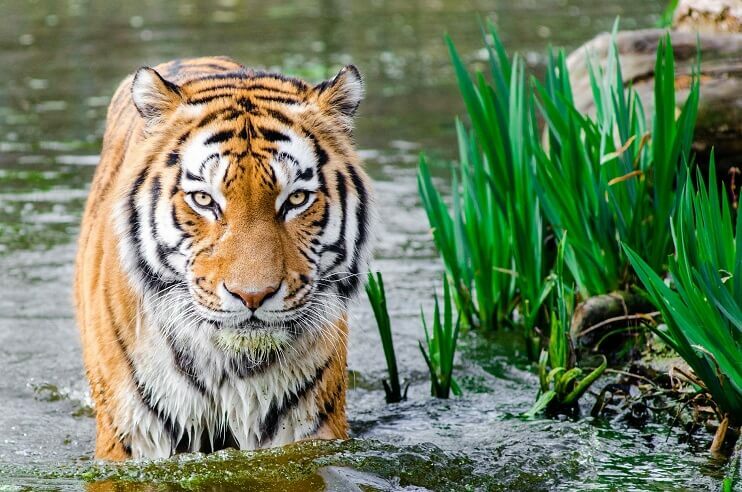 In the kitchen, the food is prepared with the best hygiene. Moreover, the fresh vegetables and ingredients are used to make food at Camp Panna. Along with that, this beautifully built resort also has a lounge. On special request, the resort also arranges drinks. 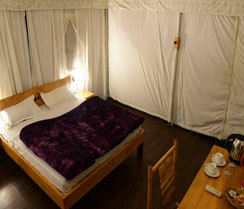 Along with stay and dining, the Camp Panna is also known to offer some additional complimentary services. The restaurant boasts a separate parking space for tourists. 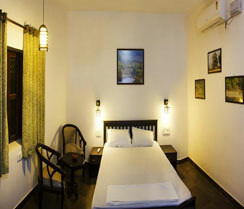 Besides, the resort also offers the facility of a cab, train and flight ticket booking. Along with that, bonfire, sleeping arrangements for a drive, and pool table are some other interesting facilities that tourists get to savour at Camp Panna. An outdoor kids’ playing area is also there at Camp Panna resort. The other services include ironing, dry cleaning, laundry, internet access, garden area, outdoor fireplace, airport pickup and drop, 24-hour front desk, newspapers and more.